Maine Warden Service Cpl. 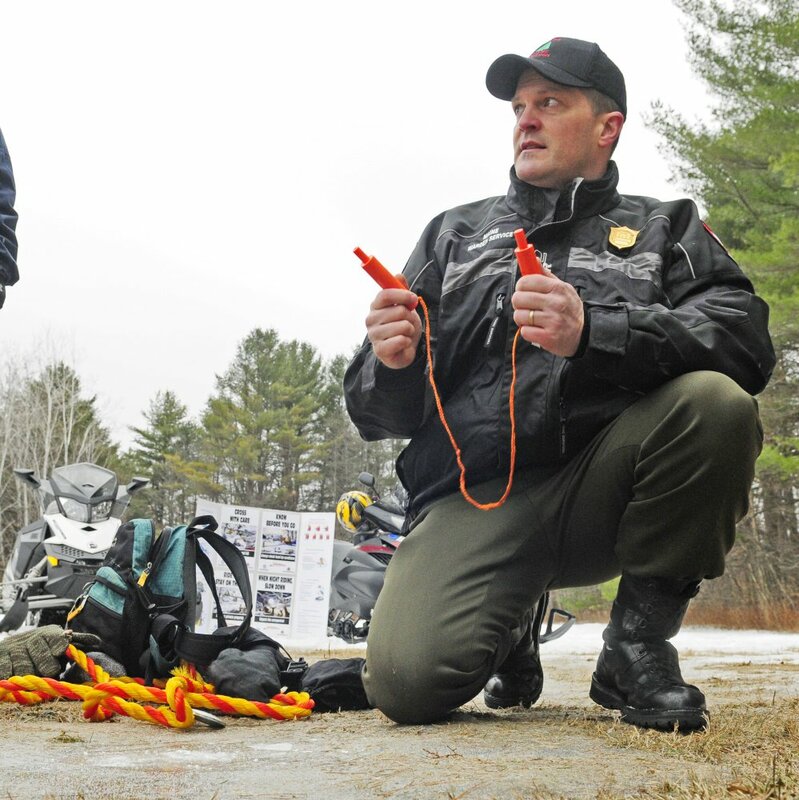 John MacDonald holds up ice picks while talking during Thursday's news conference about why snowmobilers should carry packs with safety gear, food and dry clothes. Maine Warden Service Cpl. John MacDonald holds up ice picks while talking about why snowmobilers should carry a pack with safety gear, food and dry clothes during a snowmobile safety news conference on Thursday in Augusta.